"I’ve been using Bartolini pickups and preamps since 1998. Combined with my Roscoe basses, they faithfully reproduce the tone that has always been in my head. Bartolini pickups and preamps are an integral part of my tone. " Sam Van Moer is a 20 year veteran of the of the Minneapolis/St. Paul metal community. 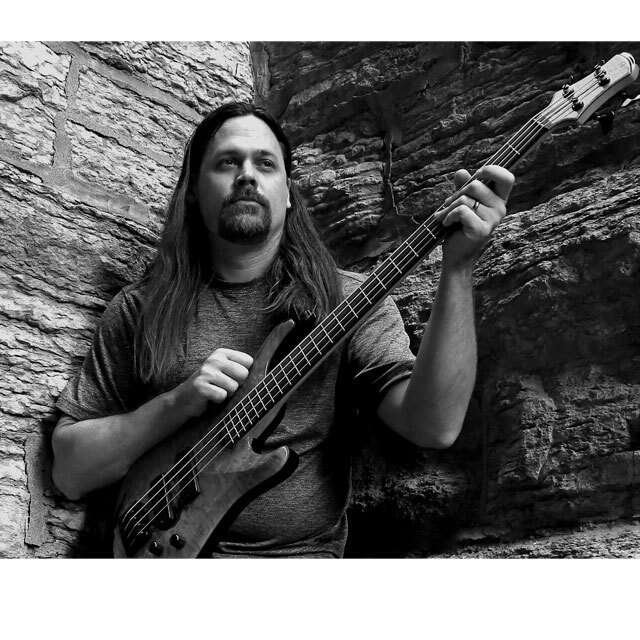 His main musical focus is the progressive metal band Gracepoint in which his brand of heavy and technical playing has earned him a reputation as one of the top metal bass players in the region. After building a solid grassroots following Gracepoint self-released their first album “Science of Discontent” in 2000. This album caught the ear of Grammy winning producer Neil Kernon who expressed his desire to work on any forthcoming Gracepoint albums. Being self-financed, Gracepoint had to fit their recording schedule around Kernon’s major label commitments. After years of gigging to bankroll the project and struggling with the complicated timetable of such a highly sought after producer, Sam and Gracepoint released “Echoes.” Back in saddle, Gracepoint is building on the new album by reigniting their following and building their fan base with a new energy and they have another album in the works. Sam passionately believes that music is not just something that one plays on weekends but that the creative process and the dream of crafting original and unique compositions are integral to true musicianship. It is this conviction that has driven him and Gracepoint on through the vast array of difficulties which are familiar to any musician who strives to stand apart from the crowd. Sam also is a member of a Black Sabbath/Soundgarden tribute band called Black Garden, and the rock band Fookey. Fookey's members include NFL and NHL alumni, and is fronted by regional country star and sports radio personality Chris Hawkey. Fookey began as a "one-off" project, but after a resounding crowd response at their first show, they decided to keep booking shows.